In my early years as a leader I received some great coaching on re-orienting my view of myself from being a private individual to a public person. Initially it was annoying to have to deal with this dimension of being but the advice was accurate. One of the first things I had to wrestle with was the question “what is meant by ‘public person’?” I was not a public figure and I wasn’t famous but I was a senior leader in my organisation, listened to by hundreds of people and represented a distinct corporate ethos. To make a difference I needed to model what I was talking to people about. It was really hard work, but ultimately rewarding for others and myself. The hard work was bringing discipline to honouring what came out of my mouth, no matter how small. I was already a trustworthy person who was viewed by others as being reliable and of value. Yet I had no idea the degree to which I didn’t honour my word and wanted the ‘freedom’ to pick and choose when I was going to be who I said I would be or do what I said I would do. I was unaware of the extent to which I was run by my feelings at any given point in time and would sell out my commitment for a well-packaged justification. I was also unaware of the phenomenal limit this was on my performance. In our leadership team development programmes we ask people to be back from the breaks on time, ensuring that we have aligned on a common understanding of the time. From a practical perspective, we do this because it works to have everyone in the room ready to start rather than waiting for people to arrive and losing valuable session time. However, the other reason we do this is it is a great way to test the current culture of the team in terms of doing what they say. Needless to say, if I had a dollar for every time people don’t come back on time or, if they do, don’t call on their teammates to get back – I would be very rich. It sounds like a small thing, keeping your promise to be at a certain place by a certain time – but I have learned that life is made up of the little things and little things invariably add up to big things. I have seen so many leaders and leadership teams who do not ‘walk the talk’. Whether it’s modelling the company’s values, treating people with respect, following processes and procedures, living a balanced life or managing performance, too often there is a gap. This article by Tony Schwartz in the NY Times does a great job of illuminating the area of engagement and how ‘discretionary effort’ has morphed into working hours that are way out of whack for both people’s health but also organisational performance. If you are a leader in your organisation you are being watched by the people you lead. They take their cue from you. If your actions don’t model what your company promises then your company promises are worthless in the eyes of the employees. When the company’s promises are worthless to your employees, you’ve got a problem. 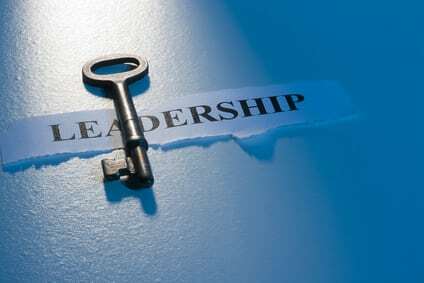 A key laying on a piece of paper with the word “leadership” on it.